Mantras are tools for decoding the sacred nature of sound . . . the meaning of sounds within the syllables of the words. Mantra is Sanskrit -- 'man' means the universal mind -- 'tra' means projection of the brain. When you engage a mantra -- your brain follows the sound into the universal mind. Through the direction and flow of the sound, your brain maps this pathway as consciousness. This path can move through the subconscious to clear old debris, and through the deeper portions of the unconsciousness to awaken them. When you practice mantras over a sustained period of time, your thought patterns will naturally arrive at a higher awareness -- the superconscious. The highest regions of the universal mind are accessed to turn mysteries into mastery; your questions into answers, and the problems and challenges of life into solutions of new, intuitive and innovative thoughts. The miraculous nature of life unfolds through these thoughts. Yogi Bhajan once described mantra as -- "The tongue is the hands on the keyboard of the upper palate of your mouth. 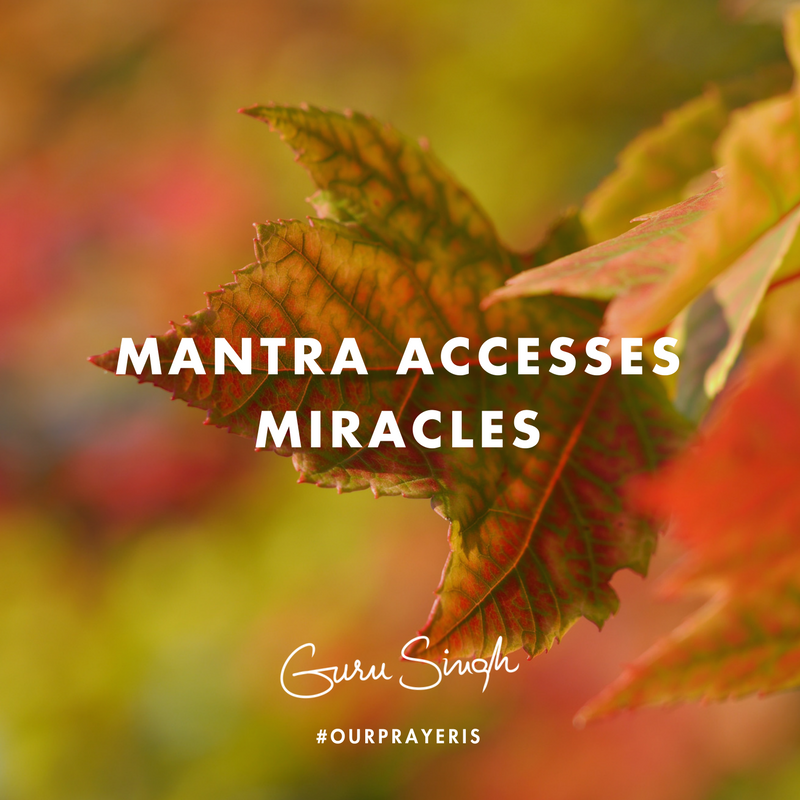 Mantras play this instrument to access the highest levels of the universal mind.” Every word you say affects the frequency of your brain; the frequency of your brain affects the level of your connection to the universal mind . . . this is known as the brain-mind conveyance. As your brain frequency rises -- gaining access to the higher frequencies of the universal mind -- miracles are just a heartbeat away. You can reach them -- you can touch them -- you can have them. Mantras manage your words. Our prayer is that you chant as a natural part of your days; that you use this to fill the empty and meaningless chatter that occupies the brain, and that you use your brain as a tool to access the higher regions of the universal mind . . . where the miracles of life, the ones you want to see on Earth, are waiting for you.